Tregwylan is a detached, superbly situated property set well back from a private lane, in landscaped, terraced gardens. The extensive sea views are some of the best in the village. 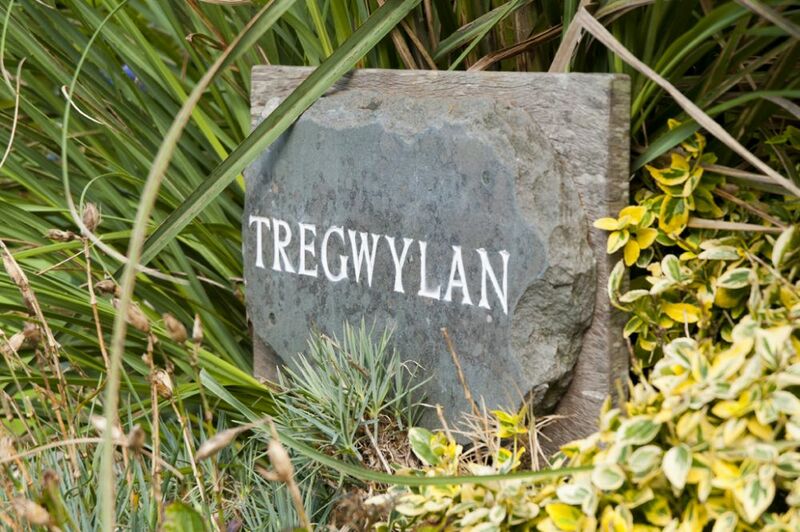 Tregwylan has benefited from a substantial extension and modernisation program.The first visitors to stay in the redeveloped Tregwylan described it as 'superb, awesome and fantastic'. 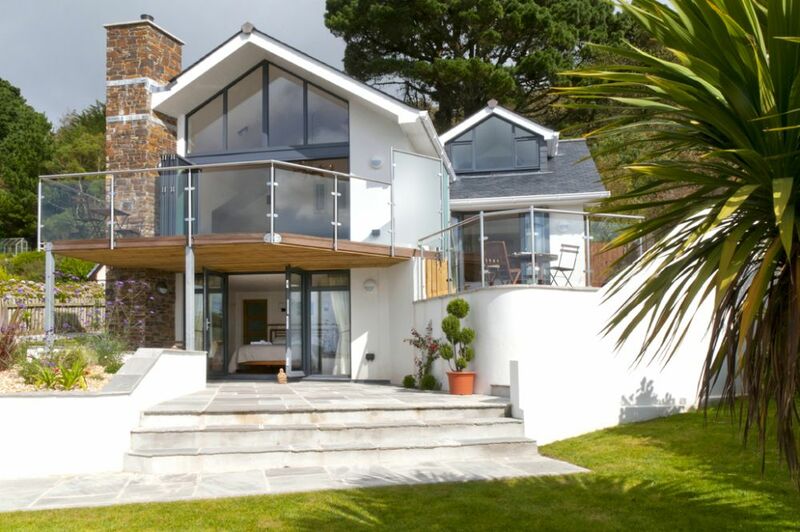 What makes this property is the wonderful uninterrupted coastal views out to sea, across to the Lizard peninsula and up the River Fal. Virtually every room has been opened up to enjoy the views which now extend outwards over the extended landscaped terrace and balcony. 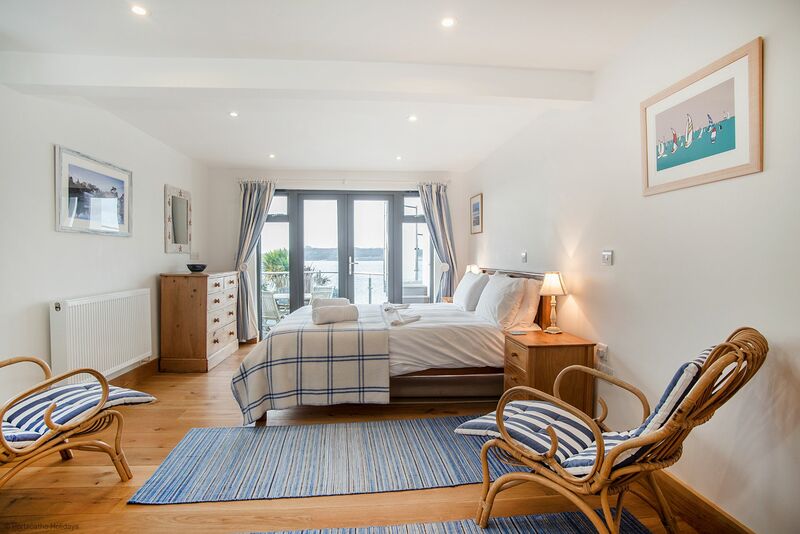 The setting is right on the coastline on a private no through lane and within 10 minutes walk of St Mawes and just two minutes from the castle. 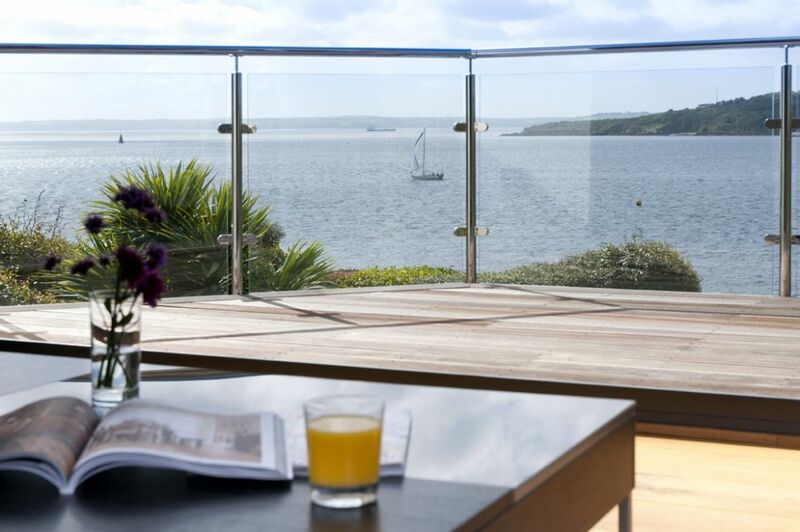 St Mawes itself offers an excellent range of facilities, three delightful beaches and superb sailing facilities. The finish, structure and furnishings of Tregwylan are to a very high standard. One of the features being solar heated water. 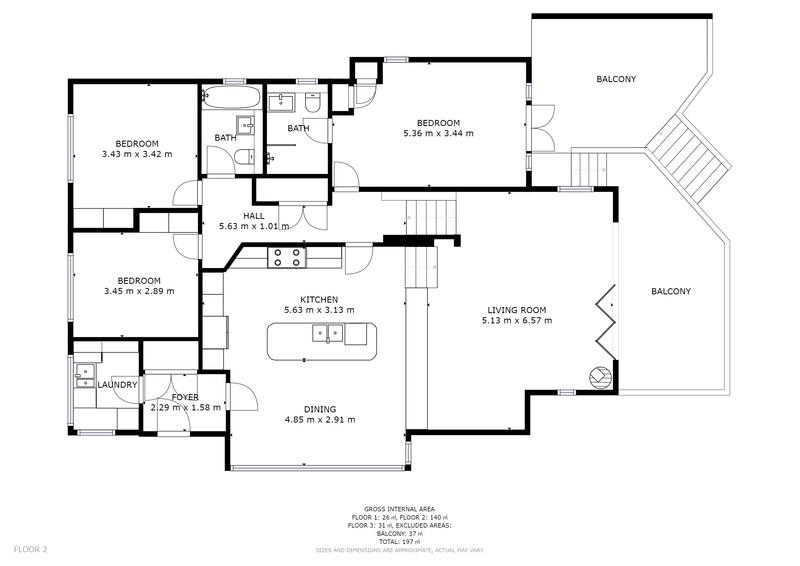 The central hub of the building is the split level kitchen/diner and sitting room with bi-fold doors onto a balcony enjoying the entire gambit of the available views. The latest technology extends to Wi-Fi, Ultra HD television with Sky premium sports channels and Sonus Sound System in both the main lounge area and in the dining/kitchen area. 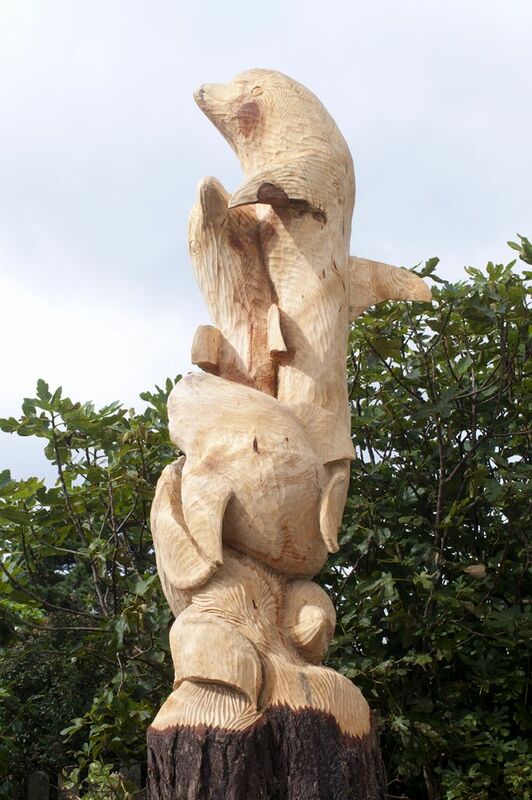 After passing a magnificent dolphin sculpture the entrance to Tregwylan is through a side door into a lobby off which are the utility room with sink, washing machine and tumble dryer, and the extensive kitchen, dining area and lounge. The kitchen is spacious and very well equipped with tiled floor, electric range with two ovens, ceramic induction hob, large fridge/freezer, microwave, dishwasher and Nespresso Coffee machine. 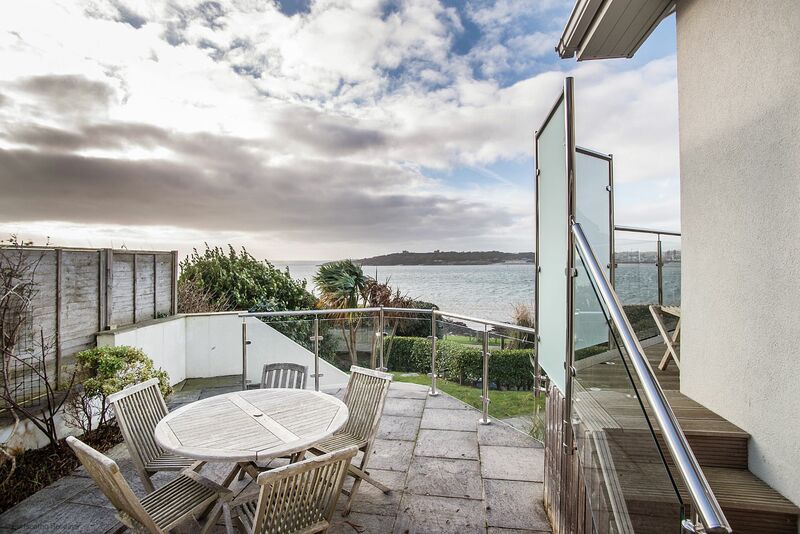 The dining area which adjoins the kitchen has a large dining table with super water views to Falmouth. 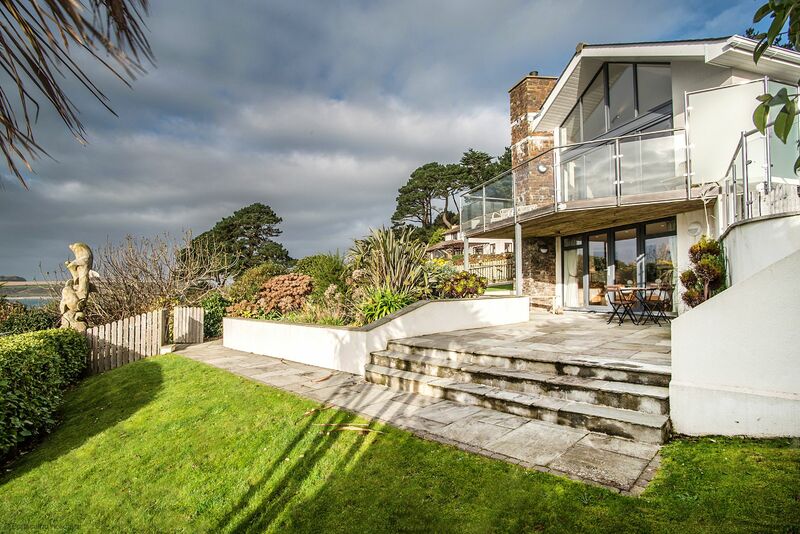 Steps lead up to the lounge with 180 degree sea views from Mylor to The Lizard. A range of comfortable seating allows you to take advantage of the sea views and folding doors give access to the main balcony. 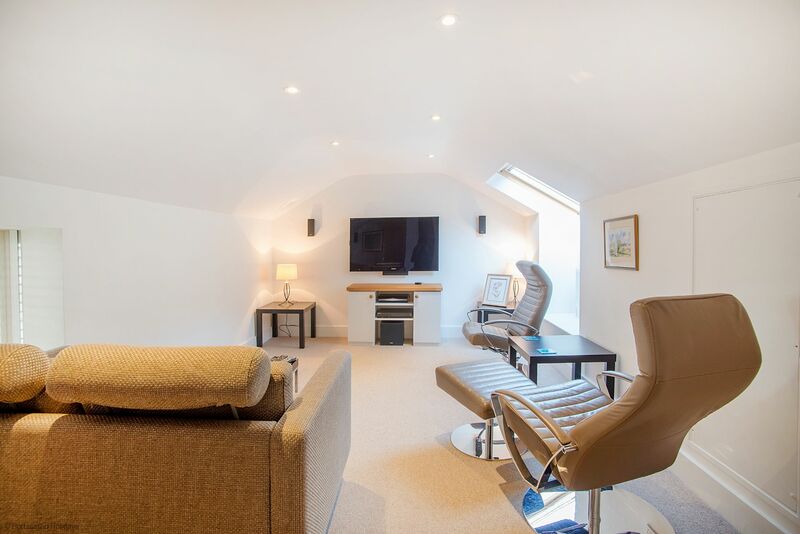 A TV and music centre complete this wonderful living space. Stairs from the lounge lead up to a family bathroom with shower, wash hand basin and WC, and the TV room with surround sound as mentioned above and plenty of easy chairs. 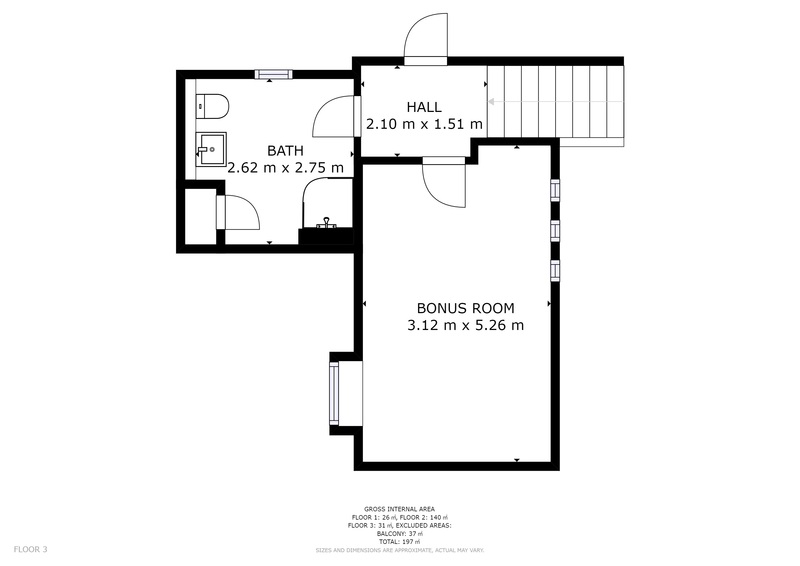 A double bedroom with ensuite shower, wash hand basin, WC, and patio doors to a balcony that enhances the views from the bedroom. 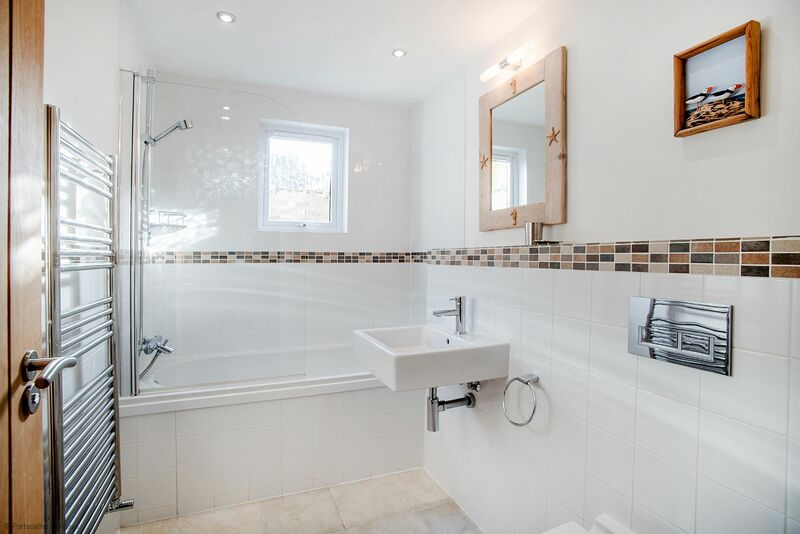 A twin bedded room and the second family bathroom that has overbath shower, wash hand basin and WC. The bunkroom with additional single bed. 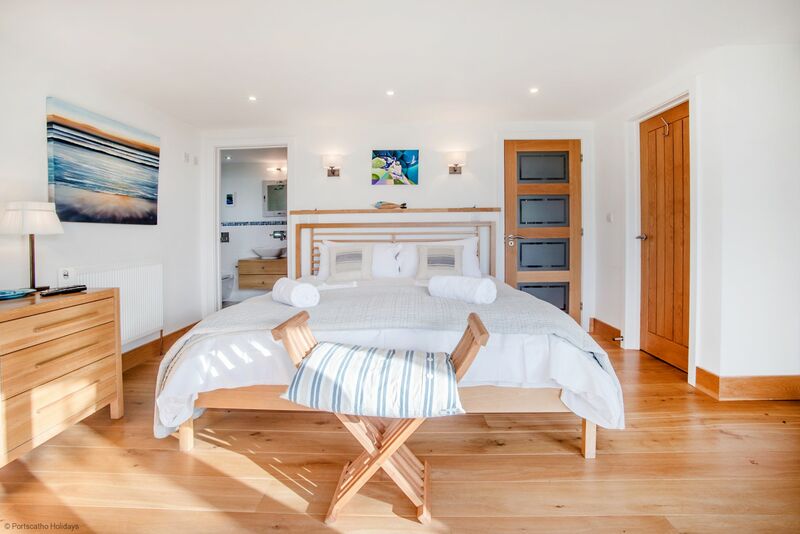 A flight of stairs lead down to the stunning master bedroom with magnificent sea views. 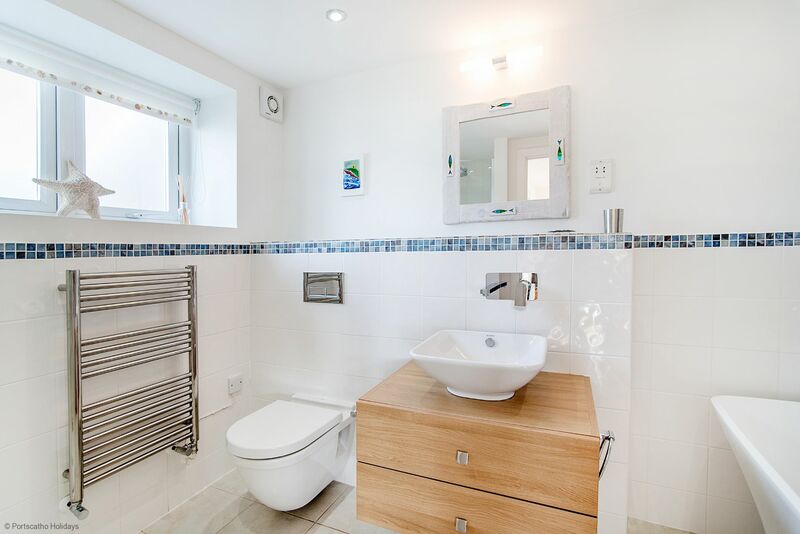 This room has ensuite facilities with shower, freestanding bath wash hand basin and WC. Doors lead out to a terrace with yet further water views. 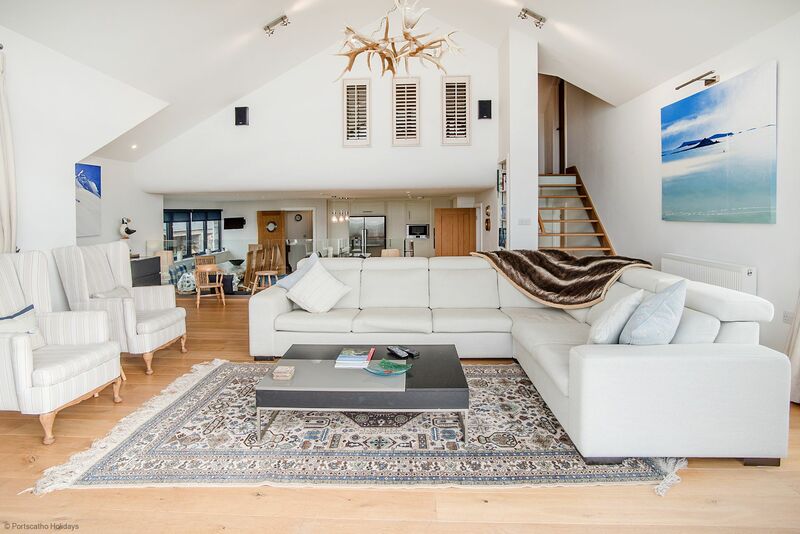 The extensive use of light oak floors, skirting boards and doors throughout the property add to the light and spacious feel given by the large amount of glass used to such good effect. The gardens are terraced and to the rear of Tregwylan is a large patio with summer house, garden furniture and yet more sea views. There is parking for three cars. 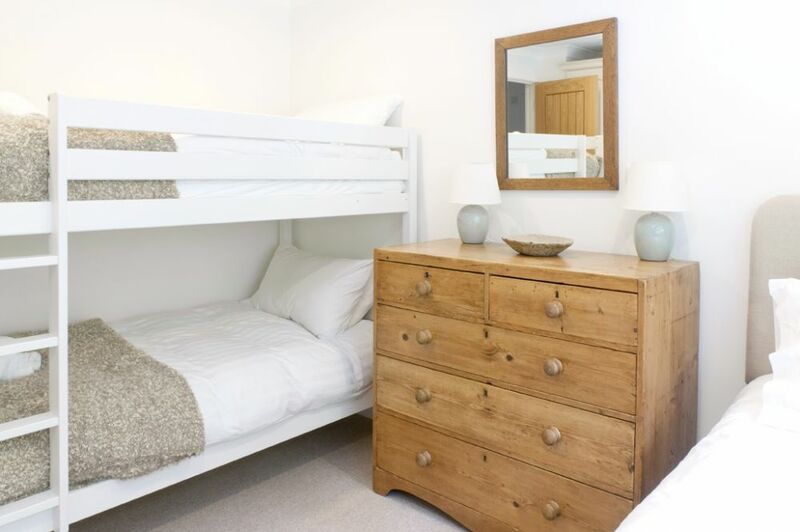 "We enjoyed three weeks at the amazing Tregwylan in March of this year. Despite the 'lively' weather we had a fantastic stay. 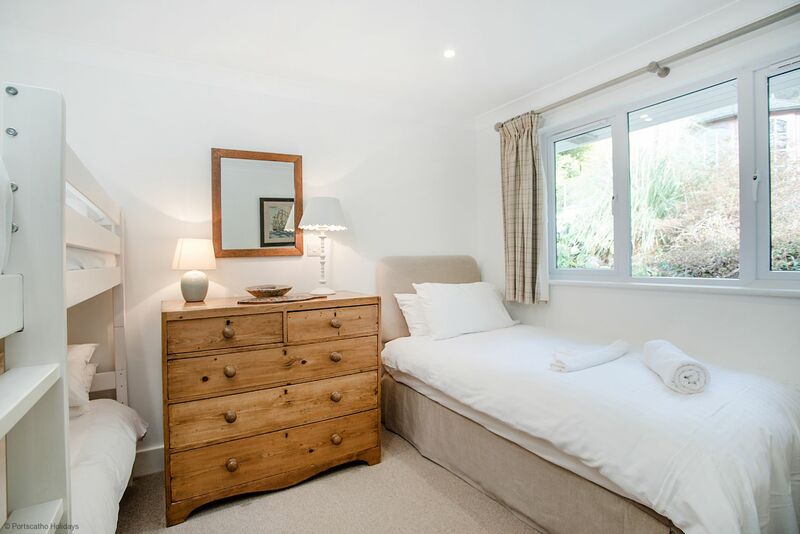 The property is extremely comfortable and beautifully clean, thanks to Lily who looks after the house so well. 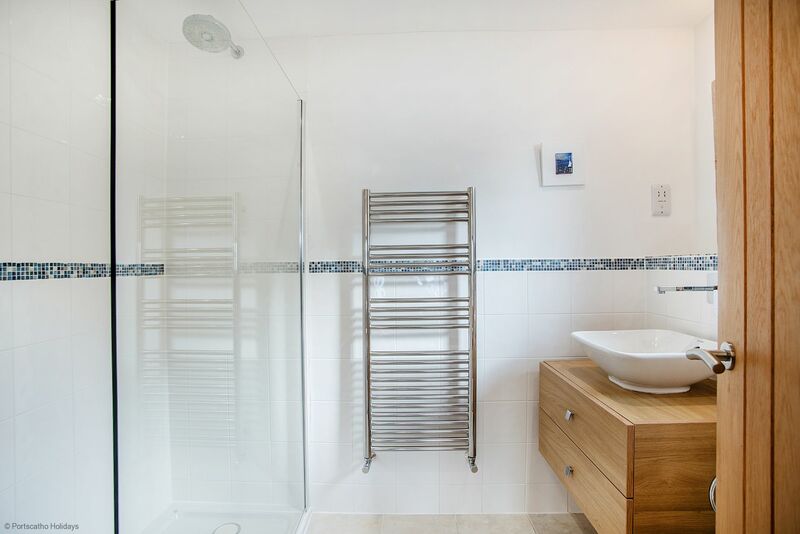 For anyone looking for a comfortable property with unrivalled views, Tregwylan is for you. For those who may have mobility issues, just be aware that there are a number of steps outside to access the property. We didn't realise, and it was initially a bit of a struggle!" "We chose this house to celebrate our 50th Wedding anniversary with all our immediate family. 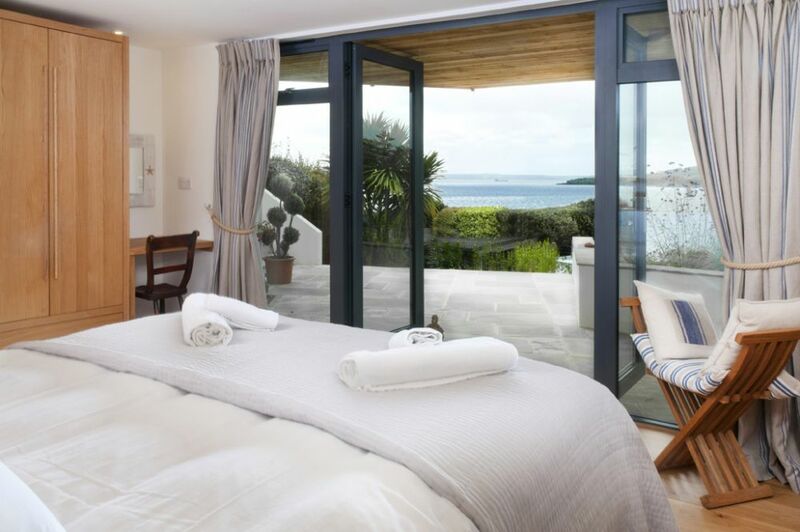 We know St Mawes very well so we knew that the location would suit everyone. We thoroughly enjoyed our experience and all generations had a wonderful time. We were aided and abetted with wonderful weather and sunsets + catching up with old friends. A minor point, the lock box was tricky to use Thank you, Sandie Boocock "
"Fantastic home for our holiday. 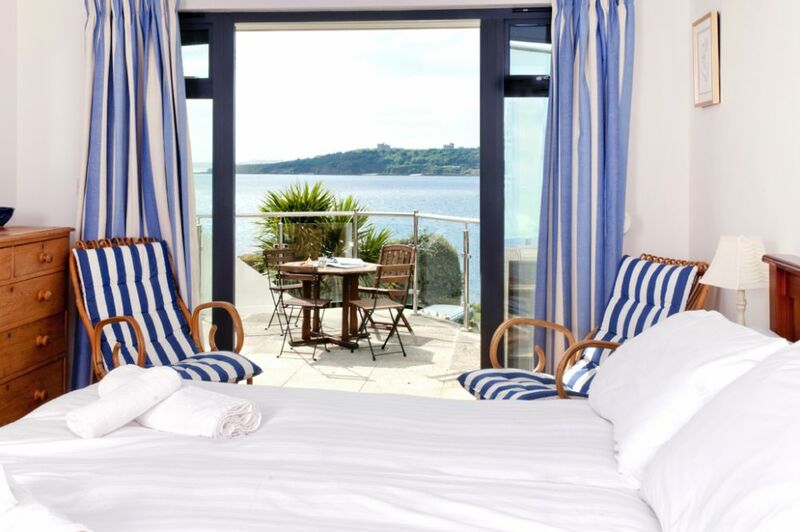 We have been to St Mawes many times but our first stay at this property. We took my husbands parents too, we absolutely loved the house and the views could not have been better. The house had everything we could've needed or wanted, the tv room is an excellent idea for those wanting to watch it but we were more than happy with the views. We had a brilliant week weather wise and very sorry to leave, we would most certainly recommend this property to others. I was a little concerned after reading reviews about the mattresses not being comfortable, I have a tempur mattress at home so have high expectations, the mattresses were more than adequate and very comfortable . We will most definitely be back to stay in the beautiful Tregwylan. Many thanks to the owners for sharing their beautiful home, it really is home from home. Darren & Jenny Parkin. " "A really wonderful property with excellent views. We really enjoyed our week at Tregwylan and cannot fault the property." 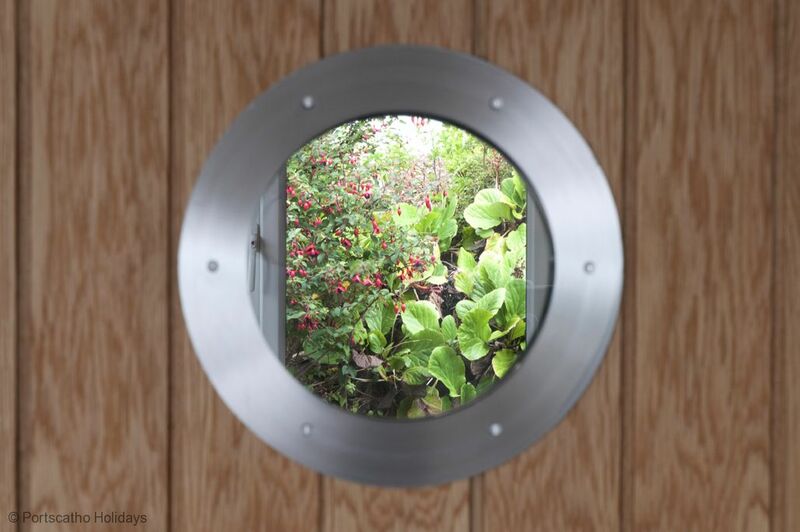 "The house was really good and very interesting,the online description was informative. However some warning could have been given regarding access to property and when we booked last Autumn the Online info was that a private shared beech was available which sounded great .However in reality this was not the case unless you jumped off the small cliff in front of house. The only reasonable access was over private grounds but a large notice greeted us on arrival that firmly stated that this was out of bounds. So we were a bit disapointed about that. Before we got there we realised that the 10 minute walk to town was very optimistic. this would probably only taken you to first properties on outskirts of town. More like 20 to 25mins at holiday pace to Village centre. There was plenty of sound a vision technology available but wasted on us. Recommend a 14 year old geek be with you to sort it, especially if you only there for a week! Apart from all that a fantastic location and knowing the downside we would still go again. With the weather as good as it was this was heaven on earth. " 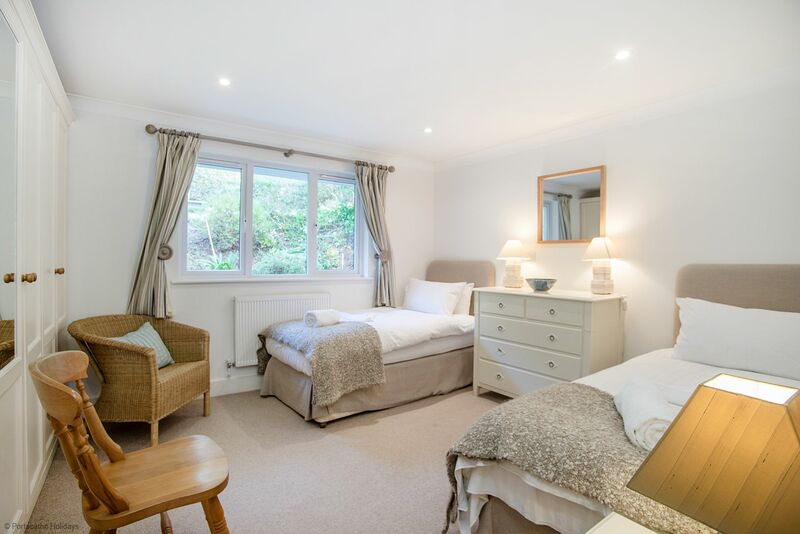 "This is a truly lovely property and dog friendly as well. Had a great family holiday here. The house is very well stocked for families, from extensive kitchen equipment to a high chair and cot. Very rare also to get full sky sports, a bonus with 3 sports made guys staying. The house was very clean and well maintained. 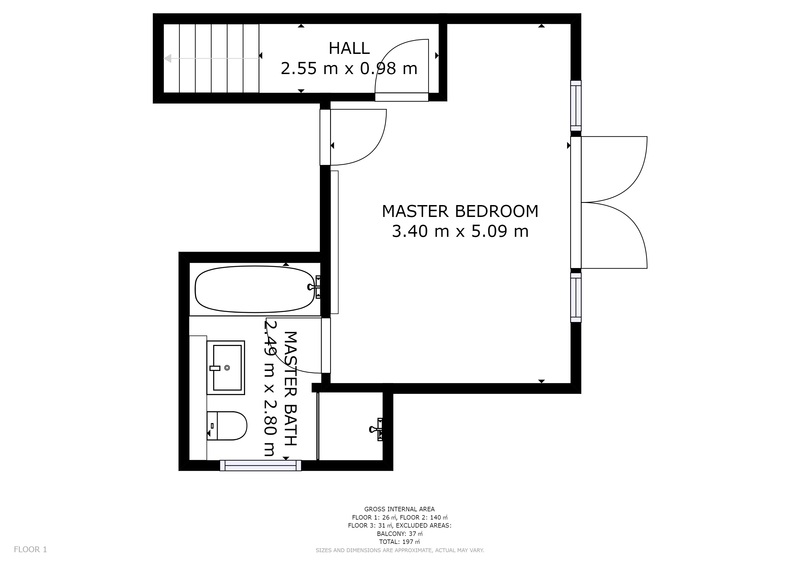 Our only negative comments is that the bed in the master bedroom is not to the standard it should be for such a property, others have already commented on this. Also the outside area are starting to look tired and are in need of some expenditure. The cleaner needs to remember to clean the barbeque between stays." "The house and location were stunning. Had a wonderful family holiday, the first time we have all been able to get away together for a number of years. Very safe for the dogs, they loved it. The cherry on the top was that the weather was perfect. Thank you for sharing your home for the week we were there." "Our only cause for complaint is the downstairs double bed which we find uncomfortable and it's jacked up with wood! " "Our sixth visit to Tregwylan , lovely relaxing holiday . Well equipped property with stunning views. "